At Core Elements Registered Massage Therapy we believe that continuing your care at home is just as important as a massage itself. A little home work is good for everyone:) We sell many therapy products that help with the home care exercises your Core Elements therapist may give you. YTU (yoga tune up) therapy balls are a favored method of self care by many of our clients and we carry and sell both YTU balls and Alpha Balls. Our own Brittany Pastorek RMT is a certified YTU instructor and she wanted to explain to all the benefits of YTU balls and how they are used. YTU (yoga tune up) balls were designed by Jill Miller to assist with self massage and proper body self care for athletes, people with chronic pain and everyone who wants to relieve aches and pains they may be feeling. The size of the balls varies. An Alpha ball is the large firm blue ball that provides pressure over a larger surface area and can be less intense than the original YTU balls. The Alpha ball is great for massaging muscles including the glutes, low back, hip flexors, and larger leg muscles whereas the original sized YTU balls come in a tote bag and are great for the rotator cuff, feet ,upper back and neck muscles. The larger abdominal ball is about 9″ in diameter and is used to massage the diaphragm and abdominal muscles which help greatly with posture and digestive issues. The larger the surface of the ball the better it is for targeting bigger muscles and providing a less intense pressure, while the smaller the balls the more intensity and pressure you will feel. YTU balls are more effective than tennis, lacrosse or golf balls as the sport balls lack a few specifics that the YTU balls were designed for. YTU balls were made with a pliable surface that permits the ball to sink into bony prominences while still contacting the soft tissue. YTU balls were also made with a grippy surface to grab all the tissue layers when massaging. The balls were also designed to absorb your body weight. The harder the surface of the ball or even foam roller means they are unable to conform to the bony structures that they roll against and can cause bruising and irritation of the bone. 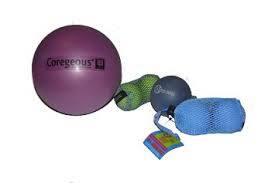 YTU therapy balls are a great tool to assist with home care after any massage therapy treatment. These balls are used for self-massage to continue the great affects of your massage from your therapist and promotes improved posture as well as alleviate aches and pains creating relaxation in your soft tissues. 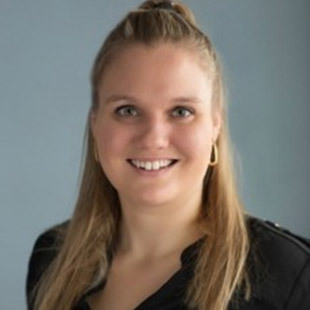 Brittany Pastorek RMT and certified Yoga Tune Up and fitness instructor would be happy to treat and educate you on the benefits of massage therapy incorporated with YTU care. or you can contact us at 613-590-9339 for any further info.